Some fathers are still sitting on eggs and are vulnerable to dogs. 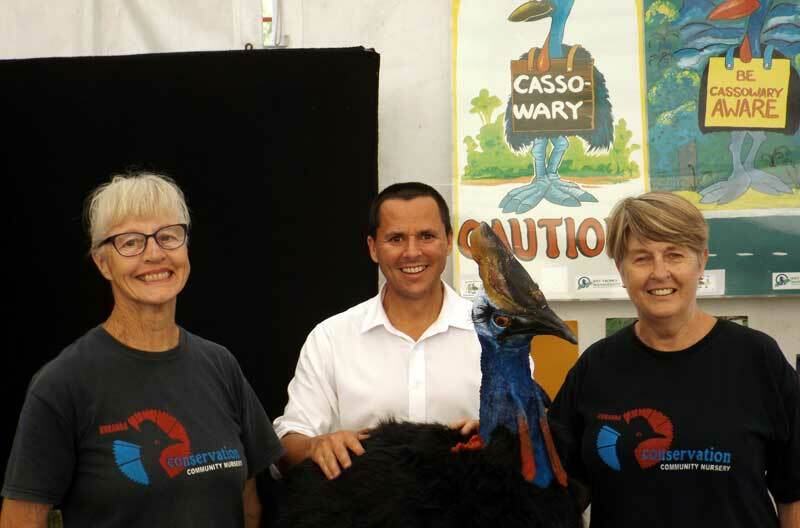 Please keep dogs restrained and report any dogs roaming in cassowary territory to the local council. Please don’t feed young chicks and allow them to develop bad habits. 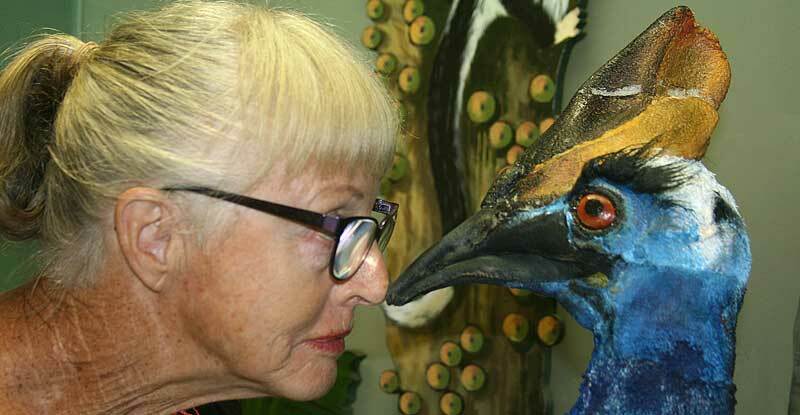 These habits can become more dangerous for cassowaries and people as they mature and become more aggressive and dominant. Keep an extra eye out on the road because the chicks may be trailing behind the adult father. There may also be a few young adults around looking for territory and still getting used to being on their own. They too are vulnerable to dogs and traffic. 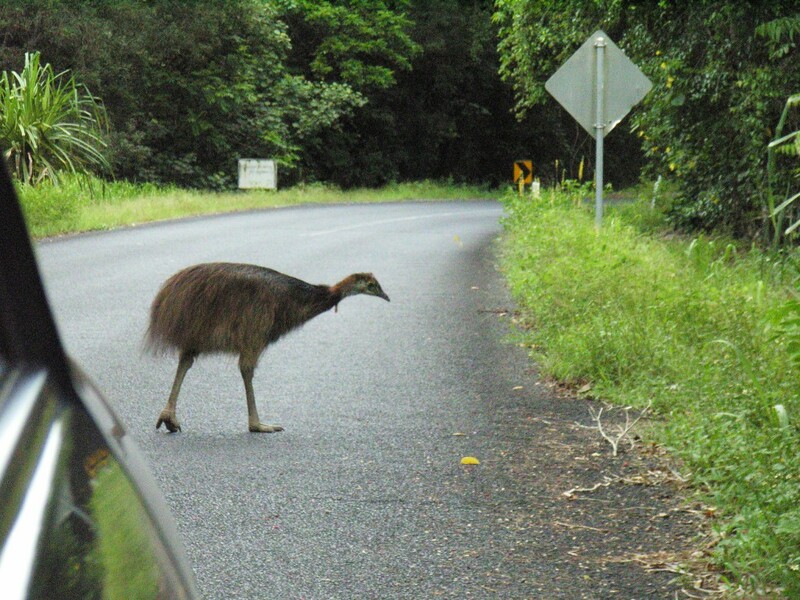 Recent road crossing hotspots on the Cassowary Coast include Flying Fish Point, Mourilyan Harbour, Etty Bay Road, Jubilee Road, Bramston Beach Road, Coquette Point Road, Tully-Mission Beach Road, and Alexander Drive, and Mission Beach.